According to Environment Canada, the coldest temperature reached on any December 31 in Toronto’s history was in 1962, when thermometers dipped all the way down to -23.3°C. And tonight has the chance to break that chilly record. While as of 8 pm it’s ‘only’ -16.9°C in Toronto (-24°C with the wind chill), Environment Canada is forecasting a low of -22°C later tonight – just over one degree away from the 55-year-old record. In other words, there’s good reason for an extreme cold weather warning to be in effect in Toronto right now. 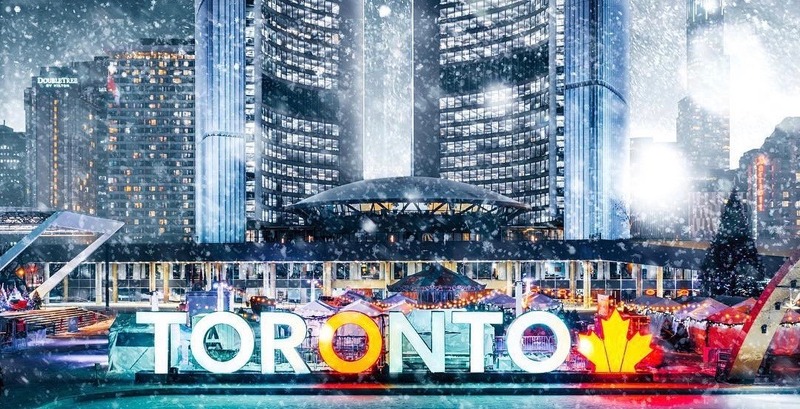 Meanwhile, the lowest temperature ever recorded in Toronto on the first day of a new year was back in 1968 when temperatures reached 21.1°C on January 1 . So, if the forecast stands (or manages to get even colder), Toronto will be breaking a record tonight – it’s just whether that record is for December 31, January 1, or both at this point. Meanwhile, with the wind chill it will feel as cold as -30°C overnight tonight. It’s no wonder New Year’s Eve celebrations in the city have been scaled back. Stay safe – and warm – out there, Toronto.